Mark Siegel is the Managing Director of Golfasian and an avid golfer for over 30 years. 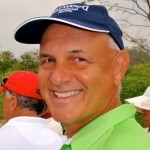 Having lived and worked across Asia over the past 20 years, he is uniquely qualified to share his expert advice and information about playing golf in Asia. Mark has played the 200 best courses out of the 3,500 across the region. He currently resides in Bangkok and spends much of his time working on business development, expansion and client relations at Golfasian while in his free-time he spends much time with his family and on the course.